This August - We're Taking Juan of Words on the Road! - Fueled by chile, frijoles & tortillas. 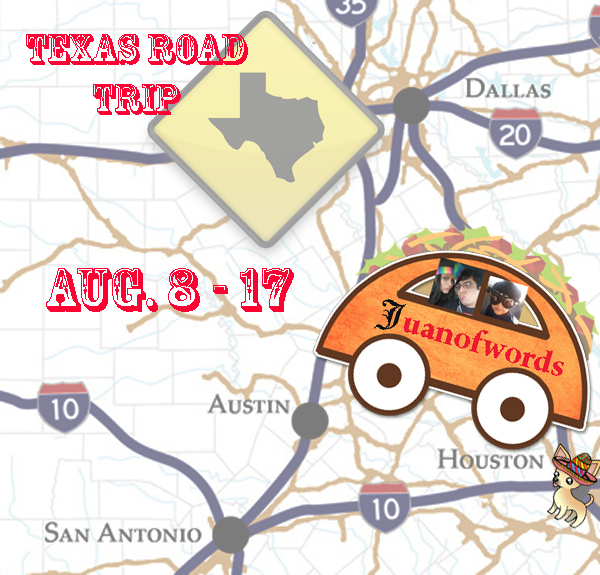 This August – We’re Taking Juan of Words on the Road! We’re coming to a Texas city near you! ¡Orale! We’ve decided to take Juan of Words on the road this summer for our family vacation. Well, only across the state of Texas this time around. I think we’re all still exhausted from our last family road trip across the country (all the way to New York City, last summer). But we’re definitely – all three of us – very excited about rediscovering our home state of Texas! We’ll be making stops in Dallas, San Antonio and Austin from August 8 to 17, 2012, and we’re really hoping we can connect with some of you along the way! That’s definitely not a demand. Ya saben, nomás if you all are interested! If you are, send me an email and let’s see if the stars will align to allow us to find some mutually convenient dates and times for us to meet. This is definitely nothing formal, and we can just get together for a cup of coffee, or an ice cream cone, or whatever. If you don’t feel like getting together, that’s perfectly fine too. We’ll be live tweeting and blogging the entire time, highlighting as much about the Lone Star state as possible along the way… so you’ll definitely have access to whatever we’re up to. Bueno, espero nos acompañen. More details to come. If you’re a brand, or otherwise just benevolent person or organization, who is interested in sponsoring our road trip, or collaborating with us in some way during our summer family vacation, please contact me via email as well. What? No Laredo? Where else can you be submerged into the wonders of militarization of the border? Roused from your sleep with the sound of a grenade yet know you are safe on the US side? Where else are you welcomed to stay at a friendly blogger’s home and save some $$ for riding down the Rio Grande in kayak or spotting the green parakeets found only along the border? JUAN! You must visit us! Myself, @UndercoverMexi & @AbeDelgado would love to pick your brain on LATISM stuff 🙂 And enjoy a beer and taco while we’re at it. Let us know when you’ll be in Austin & we’ll make plans! This is my boyfriend’s dream road trip.He wants to hit up that Salt Lick BBQ joint. Can’t wait to read your blogs. and of course, we’re always looking for ideas on traveling with our chiquita. I’ll meet you at Salt Lick if I can. Haha! Check out @monicasegura in Austin too! Hola Juan! Tu viaje suena bien! Dallas is really hot right now! Have fun with your family, there’s a lot of things to do in Texas! Hope to meet you! 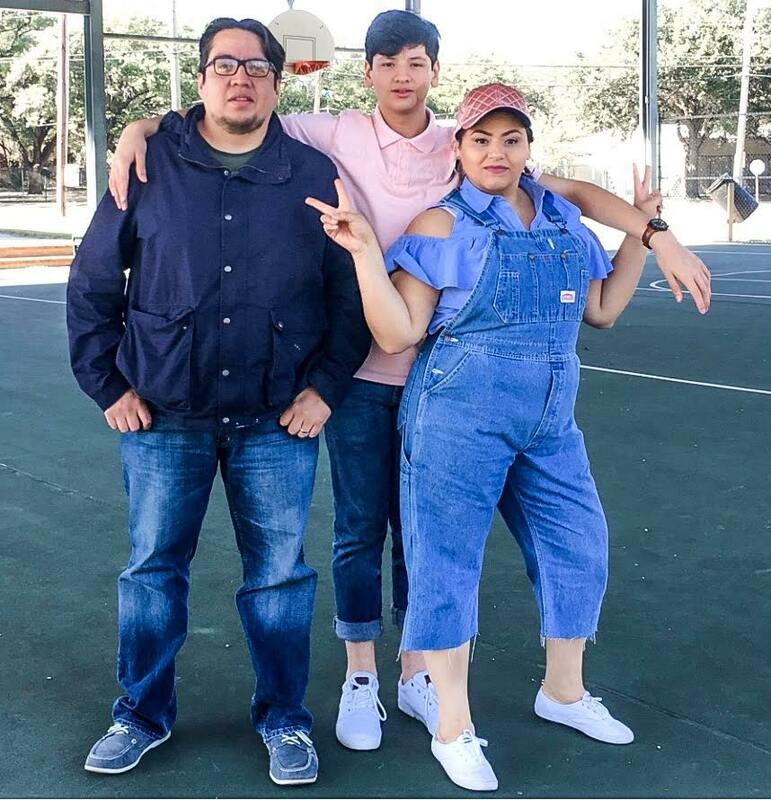 Saludos!